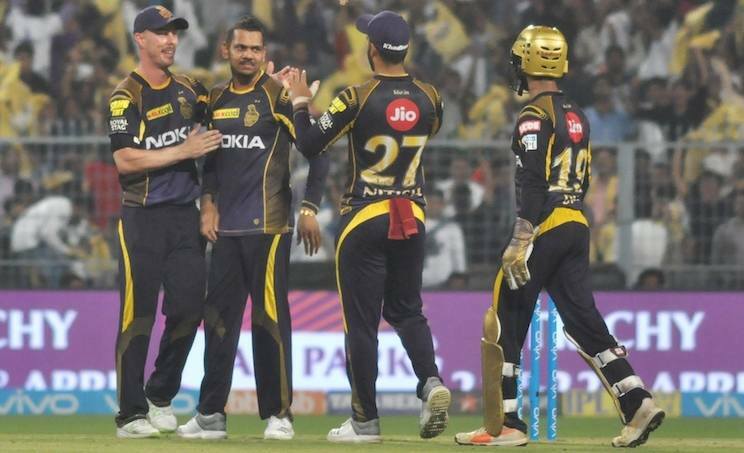 Kolkata, May 16 - Kolkata Knight Riders (KKR) register a convincing six-wicket win over Rajasthan Royals (RR) in a crucial Indian Premier League (IPL) clash at the Eden Gardens here on Tuesday. Chinaman Kuldeep Yadav (4/20) starred for the two-time champions as Royals were bowled out for 142 in 19 overs despite an early blitz from the visiting team openers. Chasing a modest target, KKR rode Chris Lynn's 45 (42b; 5x4, 1x6) and captain Dinesh Karthik's unbeaten 41 (31b, 4x5, 1x6) to ease past the line by posting 145/4 with two overs to spare.